Lots of people use the 'add a little of this, a little of that' technique when they're cooking and baking. They no longer write down the amount of each ingredient they use, nor is great grandma’s recipe card even a thought. Do people know what recipe cards are anymore? Have you ever used the 'little of this, little of that' technique and completely ruined a dish? You're not alone. But, have you ever added a 'little of this and a little of that' and created something delicious? Legend has it that around 1890, a Southern woman created a decadent and sought-after snack when she added the wrong ingredient. She tested the recipe instead of wasting precious ingredients (they were scarce). She intended to make taffy, but in her mixup, she added baking soda instead of cream of tartar. However, it turned out to be a glorious mistake that Americans have raved over for decades. She added peanuts to give the brittle consistency and crunch. Her 'add a little of this, a little of that' method created a sweet treat that people would crave for years to come. She [accidentally] invented Peanut Brittle. 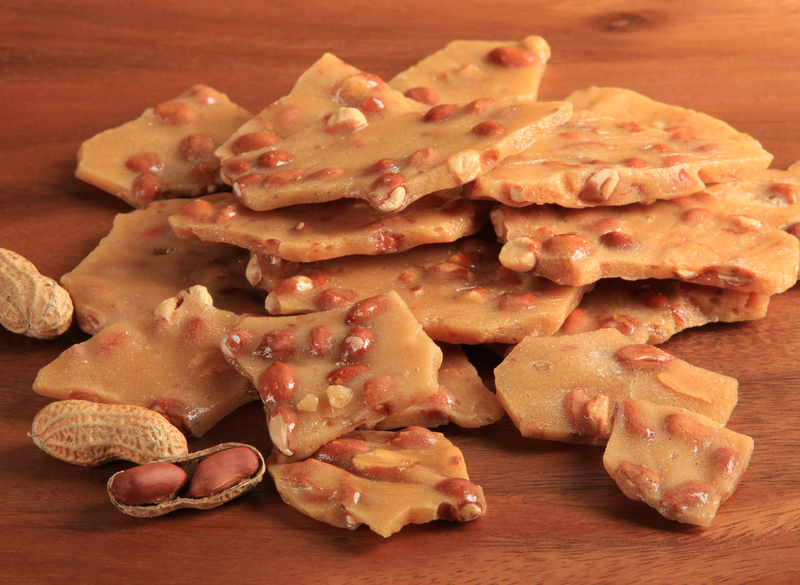 Over the years, peanut brittle has taken a backseat to newer, trendier candies, but it will always be a Southern tradition. In recent years, it's experienced a food revival; trending again in recent years thanks to fun ingredients and bold flavors.